If you grew up in Australia anytime after 1989, you would be singing along to those words quicker then you would the Aussie anthem. Almost a right of passage for any Australian kid during the 90s was to sit down after dinner and watch Round The Twist on ABC. I know others will have fond memories of the following timeslot: Dr Who. I suspect, as with the renewed love by the Whovians (older and younger), we will see scores of children, young adults and fully fledged adults signing up for Netflix to enjoy the reminiscing joys of Round The Twist. The theme song of the pilot came on and we were singing loudly and proudly along. The first ever Round The Twist introduces the Twist family: Tony, a Windower (widower) and sculpture artist and his three kids, twins Pete and Linda and little tucker Bronson. They come into ownership (?) of a Lighthouse and scrutiny of the local people. The sheer Australianess of Round The Twist is unfathomable in today’s tv land filled with Americans. The Twist family sings in the car together, the kids take catalogues to read in the dunny, school assemblies involve singing old shearing songs and the vernacular is True Blue Dundee. 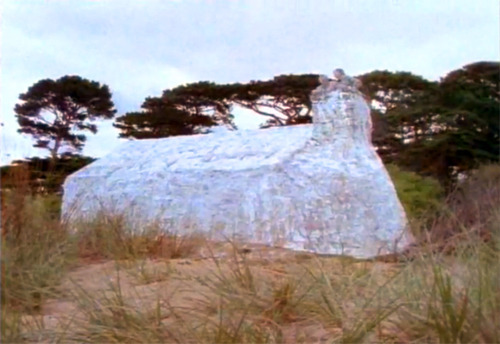 By Episode 2 of the first season of Round The Twist we have *SPOILER ALERT* ghost seagulls and real seagulls who seem to have an endless supply of sh*t. Not only that, there are DRAGONS. Real Dragons. In true Australian spirit, the Twist family release the baby dragon back into the wild, after getting a quick photo. The plotlines of future episodes are uniquely magical – finding a baby in the cabbage patch, returning a missing tooth to a ghost – the touch of the unexpected reaches every story. Check out some of the crazy things to come on this website. One episode even includes the plot line of a much later Adam Sandler movie. 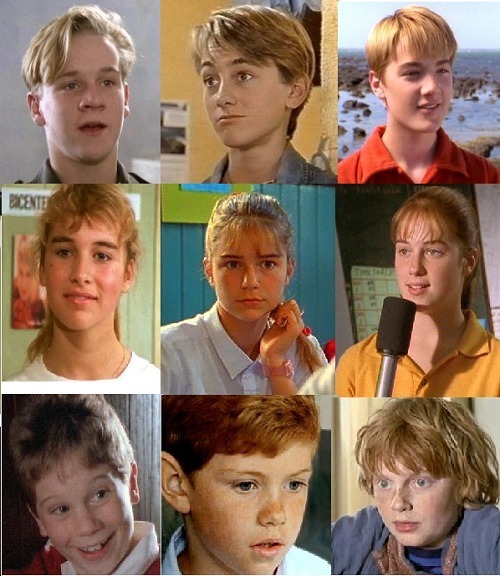 While I am still working my way through the first season on Netflix Australia, a quick google search reminded me of the various incarnations of Round The Twist throughout time. As you can see from the images below, the characteristics of each character lives on long passed the actor, and I imagine different generations will remember different faces and have different favourites. It certainly makes you think, where are they all now? If you want to blow the space-time continuum and take a peak into the future of these youthful protagonists, take a peak at this Tumblr post. 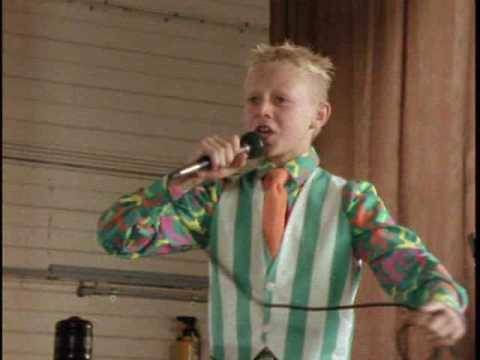 Round The Twist was so crazily wonderful (thanks no doubt to the genius creator Paul Jennings), it pushed the barriers of my fear level as a kid and kept me on the edge of my seat in the same way that Goosebumps did. Only, with a localised twist. It encapsulates everything I love about proper Australian TV (SeaChange, I’m looking at you): capitalism and big business are bad, developers are constantly plaguing locals to erase cultural history (admittedly with poor acknowledgement to the Indigenous) and the most unlikely characters are the most likeable. I can’t wait for McLeod’s Daughters to come onto streaming so I can write about my teenage years and the effects that strong women running a farmstead had on me.